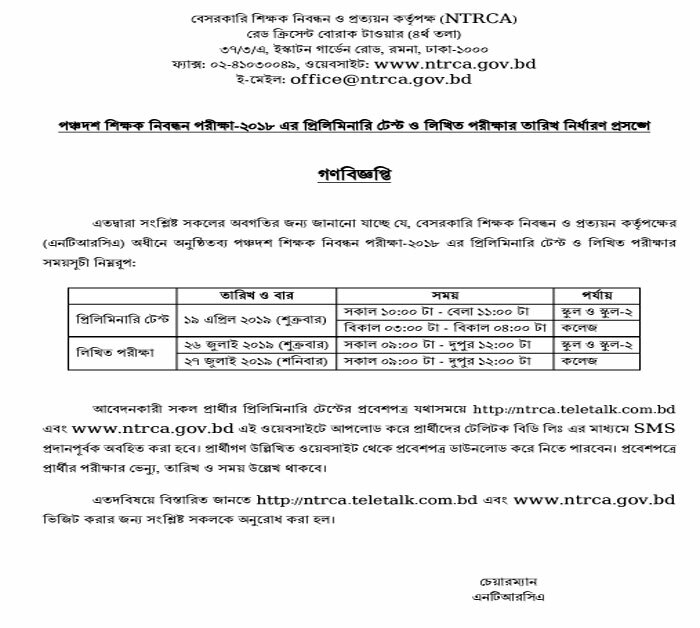 15th NTRCA Admit Card Download Latest click here. 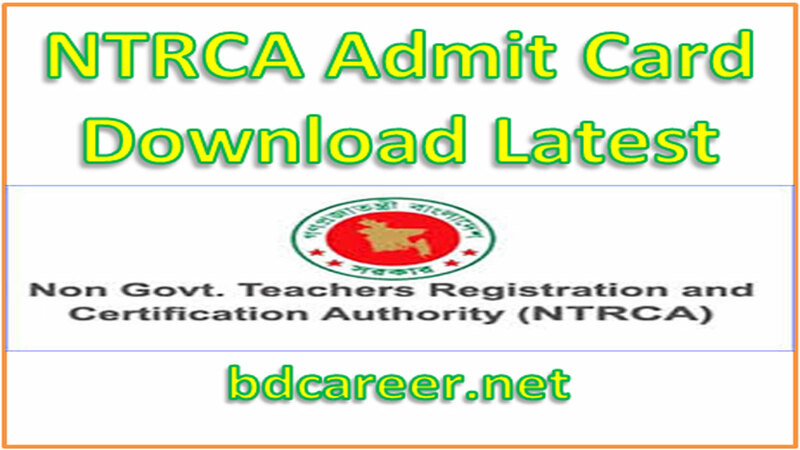 Download 15th NTRCA Admit Card 2019 from here. Non-Government Teacher Registration & Certificate Authority (NTRCA) has been issued 15th teacher registration circular. According to the circular 15th NTRCA, preliminary Test will be held on Friday 19 April 2019 and Written Test will be held on 26 & 27 July 2019. Non-Government Teacher Registration & Certificate Authority (NTRCA) has been issued 15th teacher registration circular. According to the circular Preliminary Test of School & School-2 will be held on Friday 19 April 2019 10:00 A.M. to 11:00 A.M and Preliminary Test of College will be held on Friday 19 April 2019 03:00 P.M to 04:00 P.M. Written Test of School & School-2 will be held on Friday 26 July 2019 09:00 A.M to 12:00 P.M. and Written Test of College will be held on Saturday 27 July 2019 09:00 A.M to 12:00 P.M. Candidates have to face the exam total 200 marks. Operational subject MCQ 100 marks while compulsory subject Written Test 100 marks. 15h Non-Government Teacher Registration Online Application Starting Date: 05 December 2018 3:00 P.M.
15th Non-Government Teacher Registration Online Application ending Date: 26 December 2018 up to 6:00 P.M. Preliminary Test of School & School-2 will be held on Friday 19 April 2019 10:00 A.M. to 11:00 A.M Preliminary Test of College will be held on Friday 19 April 2019 03:00 P.M to 04:00 P.M. Written Test of School & School-2 will be held on Friday 26 July 2019 09:00 A.M to 12:00 P.M. Written Test of College will be held on Saturday 27 July 2019 09:00 A.M to 12:00 P.M.